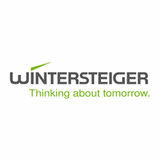 The WINTERSTEIGER retail program The WINTERSTEIGER retail program features tools and information for the consumer to maintain their equipment between shop visits. The more the consumer is educated about properly tuned equipment, the more shop visits they will make during the season. 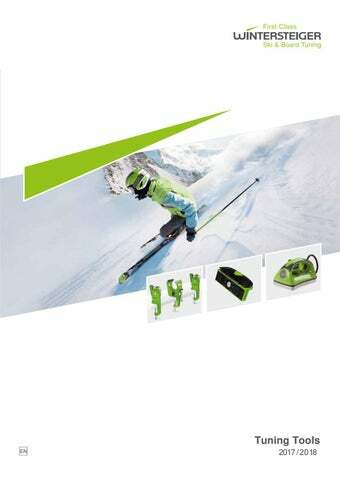 WINTERSTEIGER Ski and Snowboard Tuning Tools are the perfect solution for the do-it-yourselfer who wants to keep their skis and snowboards in top notch condition between visits to your WINTERSTEIGER repair shop. Not only are we offering the highest quality tools, we also offer displays and packaging that tie the product line back to your repair shop. Our complete line of hand tools allow your customers to wax, repair minor base damage and keep their edges sharp and smooth. Detailed product use and consumer information about the need for tuning is available online at our consumer based web site www.tuneyourskisandboards.com. All retail products have EAN-codes on the packaging. pcs. pcs. pcs. pcs. pcs. pcs. Black, 3 pcs. Clear, 3 pcs.